In Firth We Trust. 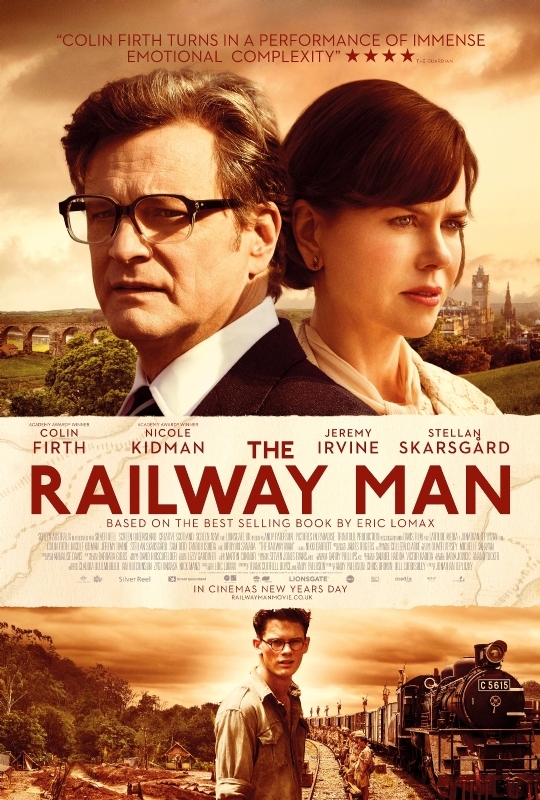 Where it lacks in pace and story, The Railway Man delivers with sheer emotion and performance. A former British Army officer (Colin Firth), who was tormented as a prisoner of war at a Japanese labor camp during World War II, discovers that the man responsible (Hiroyuki Sanada) for much of his treatment is still alive and sets out to confront him. Patt is soon introduced to Eric’s home and his fellow veterans. Most notably, the wasted if very talented Stellan Skarsgaard as Finlay. It’s only after they’re married that Eric’s behaviour changes. Erratic mood swings one moment. Hostile confrontations the next. Patti is soon petrified of the man she fell in love with. Not truly knowing who he really is. Afraid of losing Patti, Eric tells her that he was once a prisoner of war. Firth’s performance was fantastic. He doesn’t even have to speak and you feel for the man with his sullen expressions. However, when asked about his past, Eric shuts down, desperate to change the subject. Concerned, Patti seeks the truth from Finlay, triggering flashbacks to their unit’s capture by the Japanese. Beautifully shot and delicately dealt with. We soon see that Lomax’s fascination with trains is ironically tied to their torturous campaign to build the railway. The railway that would be featured in another war movie. The vastly superior Bridge on the River Kwai. If you’re expecting a similar film, then you might be disappointed. This story is about one man trying to move on and forgive. Kidman and Skarsgasrd play their parts well BUT they were heavily underused. The story was always going to revolve around Eric and his captor Nagase (the underrated Hiroyuki Sanada). The pair were pushed very much into the background. A waste. To be honest, any one could have played them. It took some time for the film to get going and once the war flashbacks began, this is where it really shone with a young Eric (Jeremy Irvine) trying to keep up morale while suffering severe torture. Johnathan Teplitzky examined Eric’s treatment delicately. It wasn’t unnecessarily graphic BUT you got the idea and felt for the poor soldier as every punch was thrown and bone broken. The third act really piqued my interest when Eric finally met Nagase at the very POW camp 30 years later. A site of pain and suffering now a tourism hotspot for his tormentor and captor to make a quick buck as a guide. The suspense and tension was brilliantly executed. It allowed for an unexpected BUT incredibly emotional finale. Firth and Sanada were fantastic together and the last five minutes was almost worth the ticket price alone. I was surprised that no one received award nods during it’s initial release. The film may have stumbled along in parts and the pace may have been questionable BUT it still hit home what these men went through. I can’t make comparisons to the bestselling novel BUT it has definitely made me want to read it. Brilliantly shot and brilliantly acted, this is one little drama that is worth your attention. Br-br-br-brilliant. A hugely entertaining, easygoing and fun family romp. Disney have done it yet again. Before the feature even began, we were awarded with a John Lasseter produced Mickey Mouse short, “Get A Horse”. An elongated if beautifully animated short mixing classic animation with the new, showing how far Disney have progressed without discrediting their origins. Enjoyable, but I ironically said, “Bit old for cartoons”. While waiting for a Disney film to start. They went old school. It made a change after seeing Disney break away from that mould for so long. Their latest efforts up to Frozen were pretty hit and miss. The animation was incredible and stunning to watch. Unfortunately, I watched this in 2D but you could see where the 3D would have stood out. It definitely would have been worth the investment. So quickly, what’s it about, GO! Princess Elsa (Idina Menzel) can create snow, and as a child she accidentally injures her sister Anna (Kristen Bell). She tries to control her gift BUT when Elsa’s power is revealed at her coronation; she flees in panic, plunging the kingdom into eternal winter. Anna must go after her and find a way to undo the spell with a little help from her crazy friends. Now, I’ll get the nasty nit picking out of the way. Firstly, the plot had more holes in it than a sponge. The most interesting question being; how did Elsa got her powers when everyone else didn’t? But then again, people could pull the Hermione card on me. BUT even she couldn’t shoot ice out of her hands. But never mind, that’s being picky. I had to question the whirlwind romance of Anna and Prince Hans (Santino Fontana) after a few minutes of meeting. BUT there was a point to that. Did I detect a little dig from Disney themselves? Poking fun at all the fairy tales. The only problem with doing these movies is that there is only so much you can do with the princess in danger story line. There is always that high level of predictability. BUT as long as the journey is engaging and entertaining enough then who cares? Congratulations Frozen. The songs were catchy and sung very well. ‘Do You Want to Build a Snowman?’ was stuck in my head. That didn’t help me in a shop selling car parts but I digress. 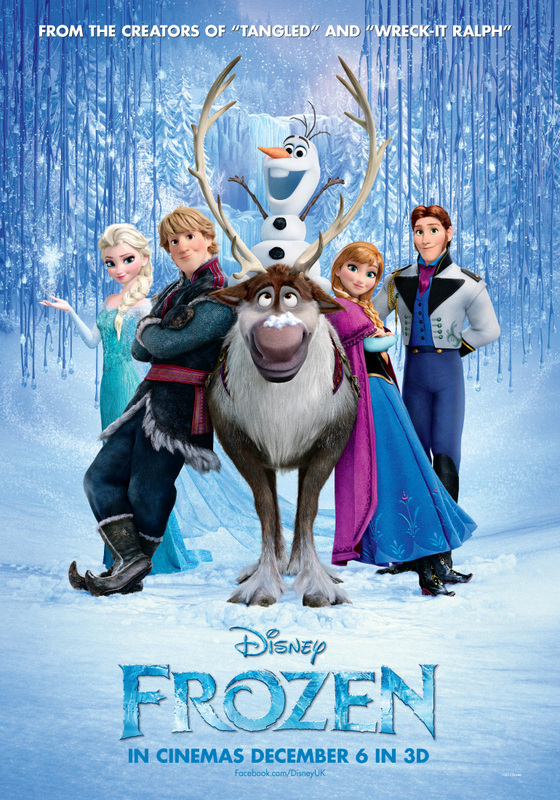 And ‘In Summer’ sung by the scene stealing talking snowman Olaf (voiced brilliantly by Josh Gad) was hilarious. A naive snowman who can’t wait to get his tan on. The supporting cast was fantastic. It helped that they had a great bunch of characters to work with. Some did get lost in the mix which was a shame. Alan Tudyk’s Duke of Weaseltown (WESSELTON!) delivered with aplomb from his flapping hair piece to his crazy dancing. However, he soon became a pretty passive and naff baddie. Olaf and Sven the reindeer were the standout characters. Their bickering and unique friendship kept the tone nice and light. It was great to see Josh Gad get a bigger platform to show off his comedy shtick after promising performances in The Internship and Thanks for Sharing. His comic delivery was fantastic. The wonderful Kristen Bell provided her nerdy spiel, bringing a fully rounded character to Anna, that was just too crazy to hate. Yoo hoo! Oh how could I forget Oaken’s (Chris Williams) Swedish Trading Post with his Big Summer Blowout. That skit had me in stitches. It may have its flaws and we may have seen it all before but Disney have still got it and know to entertain. Another mystical family movie of a musical to add to the ranks. What a pile of . . . That was HorRAAWWWrendous. You know that scene in Jurassic Park where Laura Dern’s character was fishing through that triceratop’s excrement? Yeah, well the people who made this, must have done a similar process to make a film that bears similar properties. You get the idea? Good? A little extreme? Maybe. What infuriates me is that family movies are always outstanding examples to go by because they always have something for everyone. Unfortunately parents; if you are dragged to this particular film, grab your phones, Kindles, iPods and let the 80 minutes rush through. This will keep the little ‘uns happy, after all it is dinosaurs! The opening scene is incredibly corny in which a frustrated teen doesn’t want to help excavate fossils with his uncle, played by the wasted (waste of talent. Not wasted, drunk. Although he must have been to accept this. That or the money) Karl Urban. The teen is left sulking by the car and along comes a talking crow, voiced by John Leguizamo (who voiced Sid in the vastly superior and coincidentally prehistoric Ice Age Franchise). The lad doesn’t have time to question why a crow is talking to him (if he’s talking to him, is it a Stewie from Family Guy thing?) before he tells a story of his ancestors cue a million year flashback to the runt Pachyrhinosaurus of the litter, Patchi (voiced by Justin Long) as he rises through the ranks of his herd and goes on a journey of love, loss and . . . the usual rubbish. Considering the cast of voices supporting these wonderfully animated creatures, they are incredibly annoying and spew constant verbal diarrhea of cliched, corny lines that grate and make you tut and sigh. The visual world that is created, is stunning to watch. Unfortunately our cinema did not feature the 3D version but you could see how much better the film would have been for it. The voices call out every dinosaur that comes across the screen. However, the screen decides to pause and they are then labelled and read out by kids. It was completely unnecessary. Even the young ‘uns knew what the dinos were! It kept breaking up what little action there was. Strangely, the parental figures do not speak, somewhat Charlie Brown-ish? Why? I do not know. For every good gag or one liner, there are dozens of bad ones. The fact the dinos admire a beautiful natural landscape and the Leguizamo voiced bird quickly replies, “Don’t admire it too much. It’s a future oil fill site”. Good. But that is soon let down by a ridiculous and corny OTT soundtrack of generic pop songs. For example, Patchi sees the love of his life cue Barry White. Laughable, but for all the wrong reasons. The animated breakdown of the Gorgosaurus (T-rex) had some interesting facts but was voiced by irritating commentary. A little joke about their small hands soon goes on way too long. 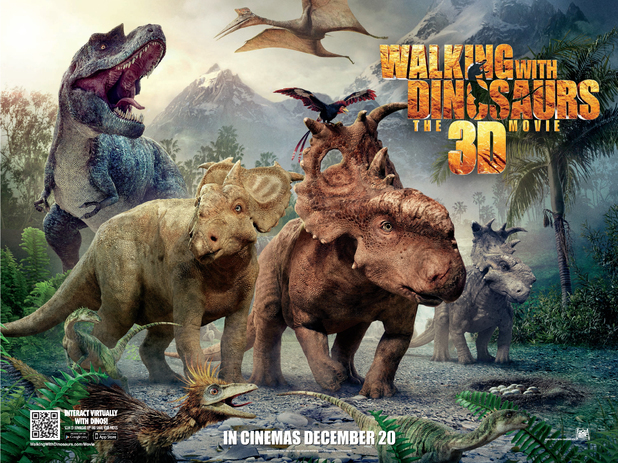 The film skims through plot points and cliches and pretty much covers the same old flawed story of Disney’s Dinosaur (in comparison, a much more enjoyable and that was better than this. and the commentary gets more and more irritating; “Weeks turned into weekends and weekends turned into long weekends, you get the picture”. Unfortunately, yes. There is a typical story of loss that is not really explained very well nor was it needed (without spoiling the film, despite not being a fan). And the point of the family at the beginning to cue a story from a crow was unnecessary. To be honest, I would be preferred to see that story. I couldn’t help but feel that was a lazy corny Americanized 3D adaptations of a fantastic television series. To be honest, it was a big of an insult. Would have been easier just to give the original series the 3D treatment. Sorry but this a big NO from me. See Ice Age, or go back and watch Jurassic Park or the original WWD series. Please bring back Jurassic Park! 1/5. Currently ranked #120 out of 123! A great ensemble could only hustle my attention away from the messy story and lengthy pace for so long. A mixed bag, to say the least. A con man, Irving Rosenfeld (Christian Bale), along with his seductive partner Sydney Prosser (Amy Adams), is forced to work for a wild FBI agent, Richie DiMaso (Bradley Cooper), who pushes them into a world of Jersey powerbrokers and mafia. 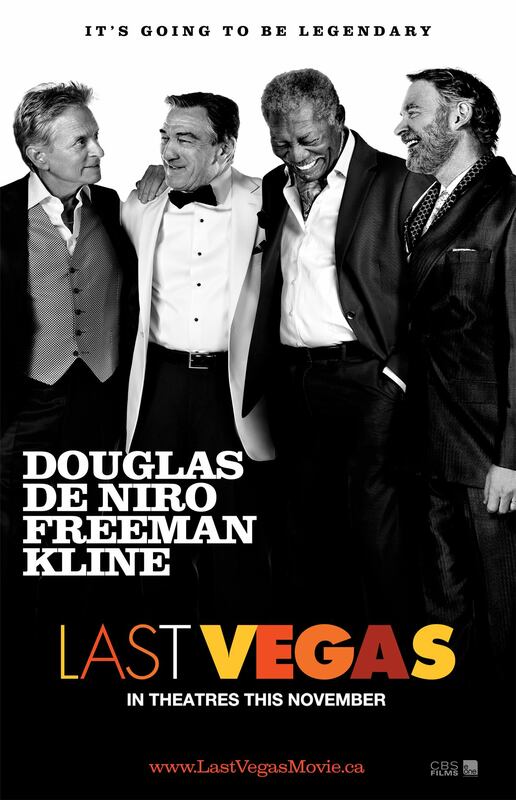 Performance wise, this film was a perfect showcase for one of the best ensembles going. Normally with a David O’Russell movie, you’re either going to get something brilliant (The Fighter) or enjoyable but flawed (Silver Linings Playbook). 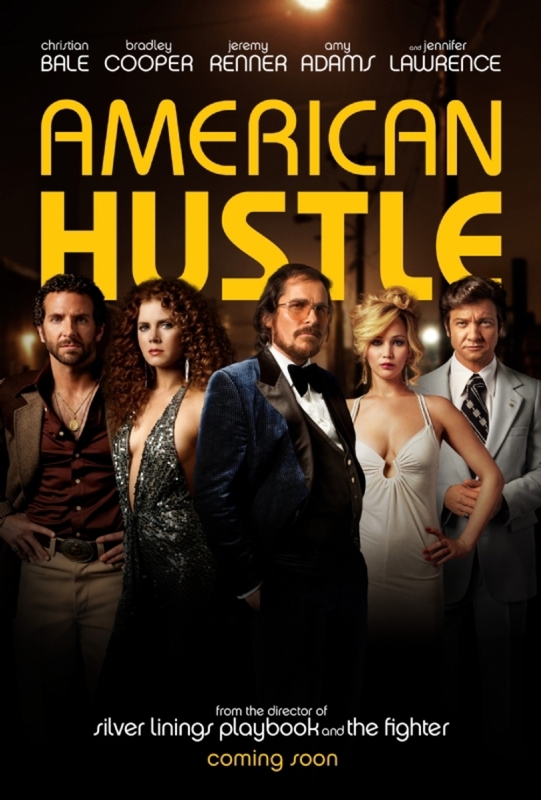 American Hustle didn’t quite hit the mark. It seemed to struggle with what tone to take. Torn between being a comical crime caper and a tense mafia thriller. Not quite succeeding on either. The main issue for me was the 138 minute length. Like the pace, I could feel my attention dipping in and out. This could have easily been cut by a good 30 to 45 minutes and been better for it. The hustling was entertaining enough BUT the agonizing build up was too much. The story was hardly original and far too predictable. I’ve seen better stories in BBC’s hit TV show Hustle (Even the weaker series). You always know that there’s a bigger play in motion and the BIG REVEAL was hardly a revelation as the closing act reached it’s chaotic climax. David O’Russell grabbed all his regulars for this one. Bale was very good. However, the main problem I had with Rosenfeld’s character was that he didn’t do as much as I thought. He became more passive as the film progressed. He only really got to shine in the last 20 minutes. My future wife Jennifer Lawrence (What?) was fantastic as the neurotic Rosalyn. She stole every scene. Only she could make (an unnecessary) supporting character funny, watchable and entertaining. Her angry spring clean to Paul McCartney &Wings’ Live and Let Die had me in stitches. Amy Adams was superb as Irving’s partner in crime, Sydney Prosser. The only thing that irritated me was her hammy ‘English accent’. She just talked in a slower and more patronizing fashion. That’s it. When she reveals she’s not English to a character later on, he’s completely baffled. Even though in the previous scene, she was talking in her normal one. Bad continuity? Maybe. The main plaudits have to go to Bradley Cooper. It’s great to see how far he has progressed from his Hangover days. His performance as the relentless and ridiculously permed Richie DiMaso was fantastic. He spurred this lacklustre effort along with humour and suspense. Linus Sandgren’s cinematography was superb. Capturing the glossy look of the old 70s flicks. The props and clothes really brought that authentic 70s feel. You could always bank on Danny Elfman to provide a cracking soundtrack to fit the era. So many belters! When AH was funny, it was a hoot. BUT O’Russell had the tendency to bleed those gags dry. A gag involving Bale adjusting his horrendous comb-over with clumps of hair soon overstayed its welcome. We get it, he’s bald! There were so many missed opportunities. A tense encounter with the Mafia (and a surprise cameo from DeNiro himself) could have been so much more and was breezed over far too quickly. Thankfully, the closing act did deliver moments of genuine suspense. Performances can’t be faltered. Where AH lacked in originality and pace, it made up with humour and energy but it still couldn’t hide a very mediocre movie. It was watchable BUT far too patchy and predictable. Certainly worth a gander BUT I’d be scamming you if I said it was any better. The Not so Magnificent 47? Or as many critics have called it. The 90 million dollar flop?! Watchable, if a little patchy and predictable, with great visuals that worked well in 3D. 47 Ronin is a fantastical take on an Chushingura (a Japanese fictional account) about a group of samurai who avenged their master in 18th Century Japan. We watch outcast Kai (Reeves) as he is taken in by the samurai after being raised and trained by demons (Still with me? Good). The obvious ensues, in which Reeves is never really accepted BUT their master Lord Asano still continues to keep him around. To make matters worse, an obvious and cliched forbidden romance brews between Reeves and Asanos’ daughter (the beautiful Ko Shibasaki). It all got a little bogged down with backstory that wasn’t really interesting and quite befuddling with Asano being tricked into attacking his rival Kira (Tadanobu Asano) by Kira’s own sorceress, the alluring Mizuki (Rinko Kinuchi). Some hoodoo about dishonour and Asano is ordered to commit suicide by the Shogun. Leaving Kira to marry Asano’s daughter. However, Kai and Asano’s loyal servant Vassal Oishi (Hiroyuki Sanada) team up with the rest of the banished samurai to prevent the wedding and avenge their shamed master. It was all a little by the book relieved by a few outstanding visual pieces. A beautiful mess. The Last Samurai with demons. The feudal Japan landscape was visually stunning. The opening sequence in which the samurai hunted down a demon was fantastic. The 3D was impressive with blades, trees and demons flying out at ya! Keanu was dreadfully wooden in this outing. He looked the part BUT my God. A tree giant from The Lord of The Rings could have done a better job. Luckily, he managed to muster some chemistry in the final minutes with Shibasaki. Kira’s villain was quite pathetic and very passive. If not for Kinuchi’s sorceress, the pair would have been the worst villains since Bambi and Thumper in Diamonds Are Forever. Sanada was very good. It’s great to see him getting awarded with bigger roles, especially after his supporting roles in Revenge and the epic Last Samurai. Luckily where 47 Ronin lacks in originality, it redeems itself with animation, special effects and choreographed fight sequences (The little that there was). The props, sets and costumes were stunning. Except for Hiroyuki Tagawa. It was incredibly hard to take the main Shogun seriously when he looks like an angry Humpty Dumpty. The questionable running time did drag in parts and felt like it was building up for a big finale. A big gamble if the finale doesn’t deliver. Luckily, it was a sight to see. The animation went borderline overkill with Kikuchi’s sorceress transforming into an agitated Japanese Falcor. The Matrix nerd in me was buzzing. That sequence was how I wanted Matrix Revolutions to end with the OZ-esque head made of Squiddies battling it out with Neo. It was easy to dissect the plot holes BUT what annoyed me was that the filmmakers created this incredible visual world that inhabited demons and sorcery. However, in trying to stay true to the retelling of the Ronin, they didn’t do enough with the fantasy element. That was it’s secret weapon and what separated it from the numerous retellings of the samurai tale. BUT the demons just made random appearances to break up the monotonous story and the spiritual stuff didn’t really kick off until the finale. Stunning and entertaining but too little, too late? A watchable BUT eye catching mess. However, for those familiar with the samurai culture, once their objective is achieved, there is only one ending (without spoiling too much). If you’re a fan of the samurai or fantasy, then give it a go. Not the worst, but certainly not the best. Or Paranormal Activity 5 (because it is the same rubbish just in a Latino neighbourhood). My first film of 2014, new year, new start and you would think the big dogs American Hustle, Mandela, Twelve Years A Slave, nah, PA5 innit. 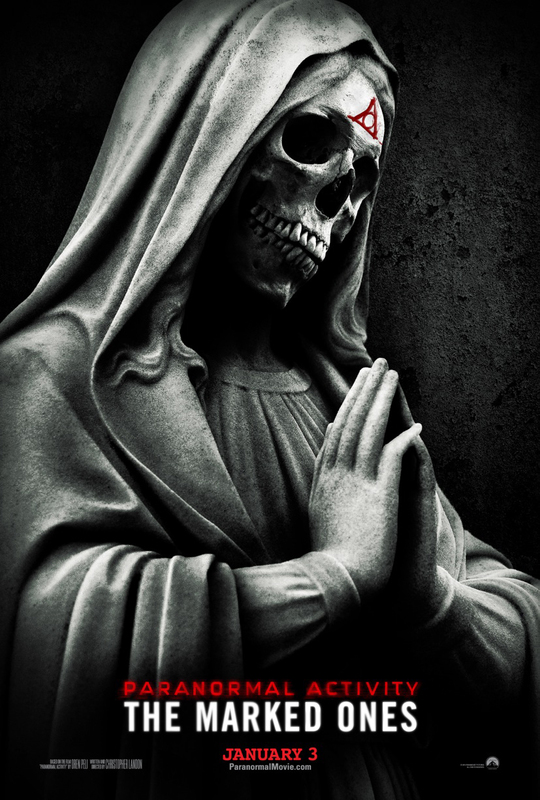 Horror films have always been a guilty pleasure. I say guilty pleasure because let’s be honest the horror films of today have nothing on the classics by a long shot. So PA goes street and for a moment you think, “Are they going to break the format?”, “Is this going to be different?”. Others may have thought there’s a fifth one? Haven’t even seen the first. Now the obvious stuff; if you despised the PA franchise then obviously do not bother. If you’re a longtime fan, it’s not bad, in fact surprising watchable. I will do my utmost not to spoil anything but consider this my warning. Now I’m not going to lie. I got caught up in the PA craze when the first one hit the screens, I found it tense, chilling and scary. Freaked me out. Great to see a small low budget film that cost $15,000 to make become a sleeper box office phenomenon, spawning a franchise. Unfortunately, in doing so, more sequels emerged, regrettably more CGI emerged and a format that worked soon became tired and predictable very quickly. I personally was not impressed with the second and fourth efforts. The third installment went back to basics and was quite good. Now the story has moved on to college student Jesse celebrating his graduation in his beaten down apartment building. In fact it was almost reminiscent of an urban Rear Window. While Jesse and pals are playing around with, what do you know, his father’s brand new handheld camera, strange goings on occur from the suspected witch from the apartment beneath. And before you know it, Jesse has been marked for possession by the same maniacal demon that has haunted the franchise. Now to it’s merits, where it lacks in scares and originality, guiltily playing through the same format despite removing the Night #1, Night#37 captions, the cast bring to life, real and more importantly likeable characters that make this predictable horror, well I say horror, watchable. To be honest, the film attempts yet again to build up the tension and the scares to somewhat of a mixed bag. Friends popping out from corners, see it done it, craaap! But a creepy scene in which a playful game of Simon, you read that right, leads to an Ouija interrogation with a demon? Brilliant. The crazy shaky handheld camera work is back again. However, a neat little trick in which the guys play with Go Pro makes for some genuinely tense scenes. The opening act is genuinely typical of the format but makes it up with college humour, some say lazy, I say enjoyable. If me and my little bro had Go Pro and had demonic abilities, we would probably have played around before the sinister stuff kicked in. At times, it borders on parody. Some of the visual works in unleashing the little scares is brilliantly done. Now POSSIBLE SPOILER it inevitably leads to a big climax with a revamped visit to the ranch featured at the end of the third and fourth installment respectively. I won’t say much more than that with the obvious impending doom approaching. However, there is an unexpected twist. Unexpected for this franchise if slightly half-inched (stolen) from another horror film, Insidious Chapter Two. That’s right for those that have seen it.